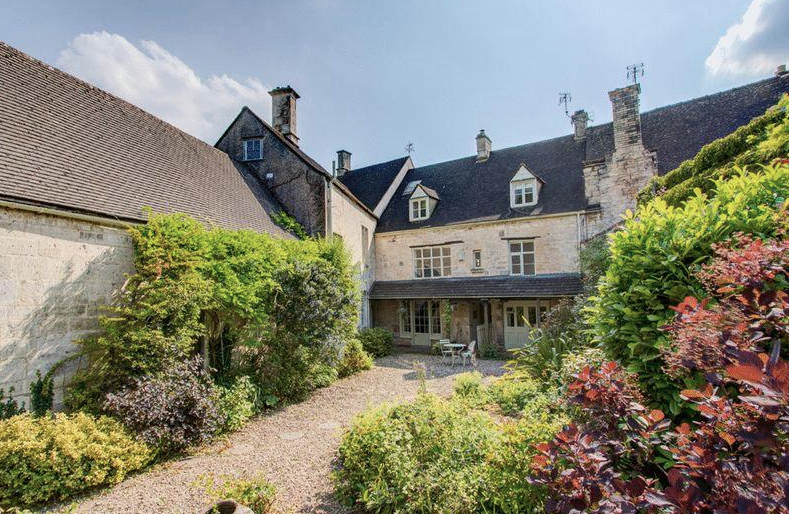 Byfield House is situated on a narrow, one way street in the centre of Painswick, there is no parking directly in front of the property which could be a issue if, as the agents suggest, this was to be run as a boutique B&B. There is also only one bathroom on the first floor which serves four of the bedrooms so the layout would need to be re-jigged somewhat. I think it would make a fantastic location house for photoshoots as it is bursting with charm and character but again, parking is a problem. The Tudor Hall, above, has a stunning feature fireplace and doors out to the pretty cottage garden. I'd swap the rug for a vintage Persian one but other than that there's not much I'd want to change here. This is the ground floor drawing room. The pink walls are in line with the current trend for blush tones, I'd like to see a little more sage green mixed in with it though to really bring it up to date. I love the plaster detailing on the ceiling and those fabulous sash windows. The furniture is almost perfect - swap in a lower, brass framed coffee table and a modern footstool and it's done. In contrast the Morning Room on the first floor is a much cosier affair, albeit roughly the same dimensions as the drawing room directly below. This would make a fantastic library, I would go all out dark in here and make it a real snug, the perfect spot for an after dinner brandy (not that've ever had a brandy in my life!). The master bedroom is situated on the first floor to the rear of the property and has a large dressing area at one end. This is crying out to be converted in to an en-suite but it depends on the plumbing. I'd love to see a huge roll top bath by the window! Add in a four poster bed with lots of flowing muslin and it could be a really romantic master suite. 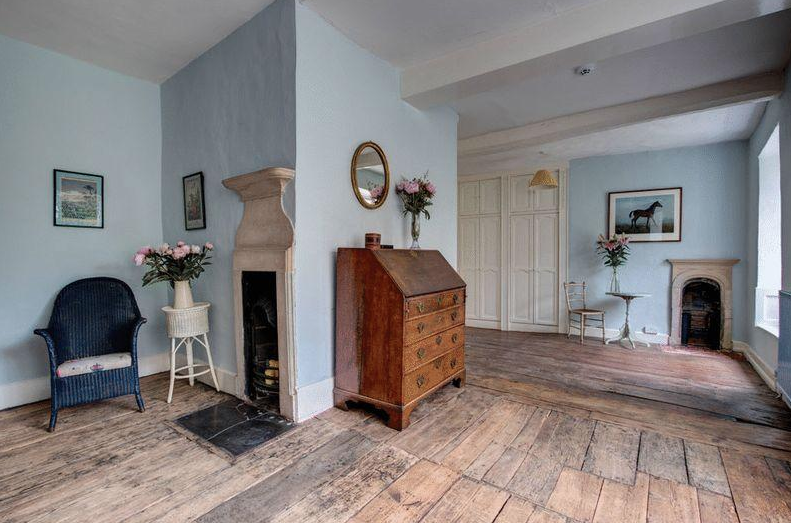 There is so much potential with this property, and with just over 7,500 square feet to play with someone will be able to transform it in to the most fantastic country home. It would definitely be a labour of love.